My goal this week was to give fun words with one being a noun and one being a verb, while still being a real challenge. It turns out I gave two words that could be nouns and verbs. If you look at the two words I imagine you will instantly see what my thoughts were. See if you can not go there, that is if you figure out what I was thinking. During the holiday seasons we all do what I was thinking. Either during the holiday or immediately after a time of religious adherence. THESAURUS ALERT! It may be beneficial for variety and originality to visit the following links. CAKE and WOLF. Also click HERE for a NEW TYPE of poetry I’ve created/am working on that you may want to implement into the challenge. 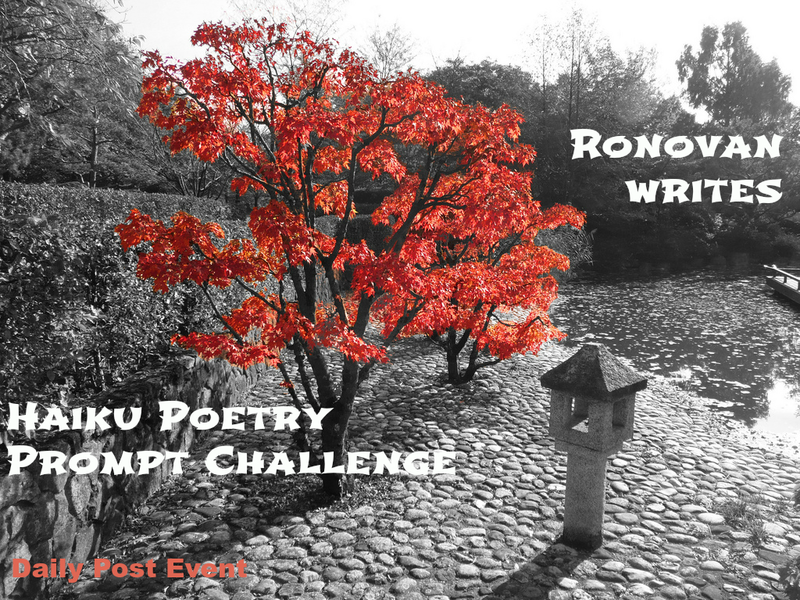 MAKE SURE TO VISIT THE NEW WEEKLY FRIDAY FICTION with RONOVAN WRITES Challenge #4 By clicking HERE! Cute haiku! Lucky dog… got him some cake! He ate the whole thing too. https://dorndryad.wordpress.com/2015/12/07/ronovanwrites-weekly-haiku-poetry-prompt-challenge-74-cakewolf/ Am I the first offender? Tessa got you by maybe less than two minutes. Mine is right below yours… Now, off to heat up some yummy curry chow! To that day with vigor!! but don’t wolf it down too quick. Small bites are more yum…. As usual combining my haiku or are they haibun, with the weekly photo challenge . This poem arose from a recollection during the night of my first-year teacher’s response to my first soap-carving project. I’m pretty sure I don’t want to take responsibility for where it went from there. Enjoy! mmmm, I could wolf that…. I put this one off thinking I could never write a poem with this pairing but AHA, I did it. Not sure how well it turned out but I had fun! Thanks, Ronovan! The first pingback I did went to the Black & White challenge, sorry! Never apologize for a ping back oops. 🙂 Even if it went to the wrong place you are going through the trouble of doing one. I appreciate that. Thank you. I could not go past Charlie with my responses to your challenging challenge this week. These challenge words seemed to filter in and out of my mind throughout the week, with nary a haiku coming! Finally I have one to share. how many haiku i will make?